Today we came together to celebrate mass for the beginning of the school year. 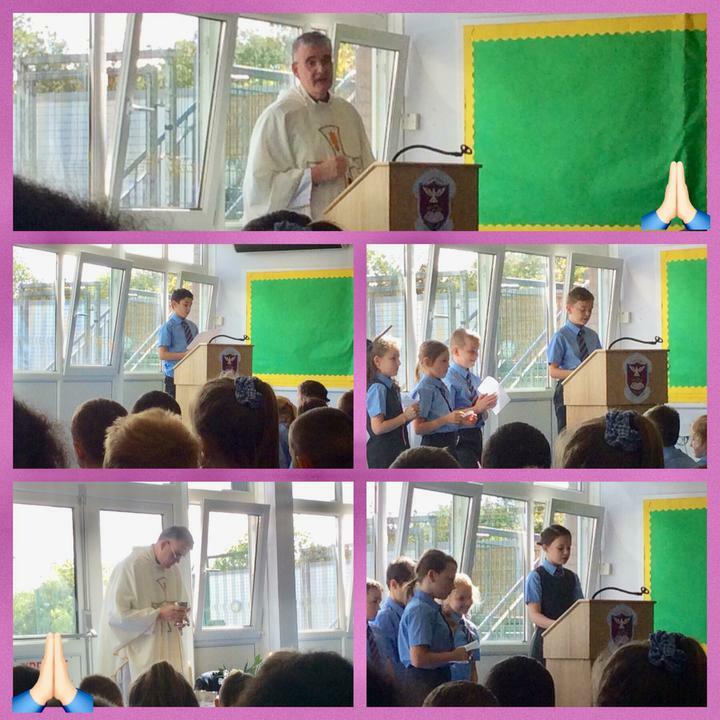 We were joined by our Parish Priest Fr John Cargan and past pupil, Fr Ciaran Hegarty who celebrated the mass. Fr Hegarty spoke with very fond memories about his time at St. Columba’s. The theme of the mass was 'sharing' which is something which we will be focusing on this year. Our school choir, under the leadership of Miss Aoife Coyle, greatly added to this wonderful celebration.